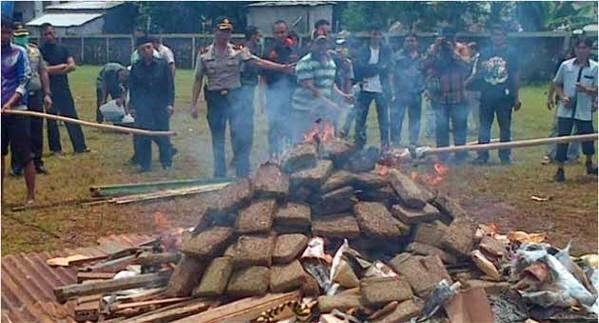 Police Burn 3.3-Ton Pile Of Cannabis And Get An Entire Town High.. The police themselves anticipated the powerful plumes and protected themselves by putting on gas masks as they set fire to the drugs. But they didn't bother to warn any of the locals, which meant everybody got buzzed one afternoon. They also destroyed 1.8kg of crystal meth and 2538 ecstacy pills but they decided to blend those. I wonder how many reports to police were proper complaints?